Originally constructed by Lanyon, Lynn & Lanyon in 1871 with carving by the Fitzpatrick Brothers. It was badly damaged by fire in June 1881, reopening in December 1881 after a refurbishment led by by noted theatre designer Charles Phipps. 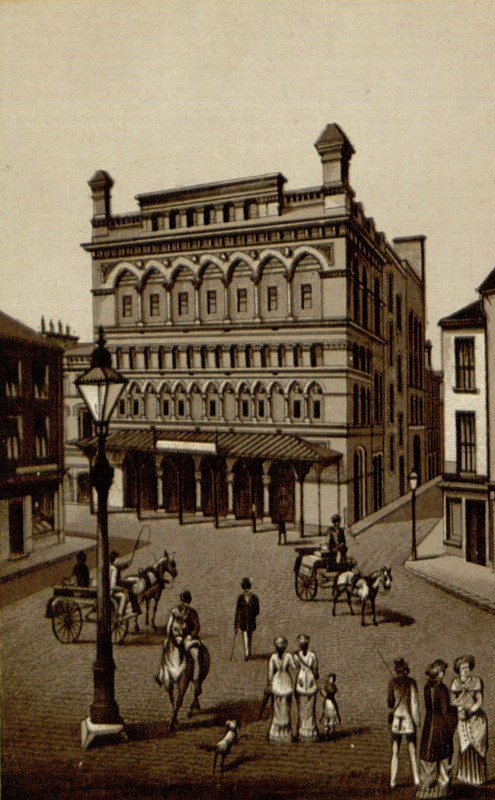 Demolished in 1915 and replaced with a cinema.